This Week’s Features = Football & Valentine’s Day! 1. This No Bake Strawberry Mousse by Munchkin Time looks like a decadent Valentine’s treat worth making. It reminds me of my love for Valentine’s Desserts (wink). 2. These Football Character Cookies by Intelligent Domestications are adorably perfect for playoffs this weekend & Super Bowl = love! 3. Have a book laying around collecting dust? Wonderfully Made has the perfect solution! Turn it into a folded Valentine’s display. I just love this…. Thanks for hosting, Jodie! The features look fun. Thanks so much for featuring the Super Bowl printables! I’m in the process of updating them for this year’s game, and can’t wait to get the update posted. Have a great week! Pingback: Get out the Doilies! Thanks very much for the feature! I appreciate it and the time you take in hosting the weekly party – have a wonderful week! Thanks for hosting the party, Jodie. Have a wonderful week! 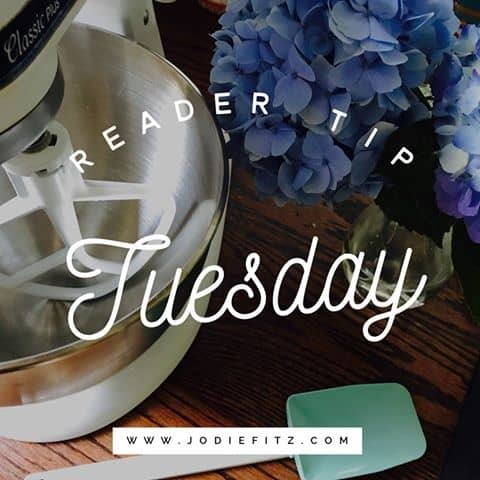 Love Reader Tip Tuesday – So many great links! Thanks for hosting.